We hope to see you when the weather gets nicer! Do you know a music teacher who could use new equipment? Applications are now open for BBR’s annual chime donation program! Visit our website for more information. Deadline for all applications is April 1, 2018. Did you know you can support BBR through your regular online shopping? Simply log in to Amazon through the Amazon Smile webpage and choose Back Bay Ringers Inc as your designated charity. BBR will receive a percentage of every purchase you make! 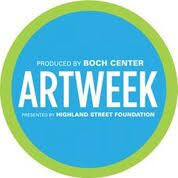 BBR will be part of Boston’s ArtWeek 2018. Come visit us for an open rehearsal on 4/30/18. ContactDonna for more information.